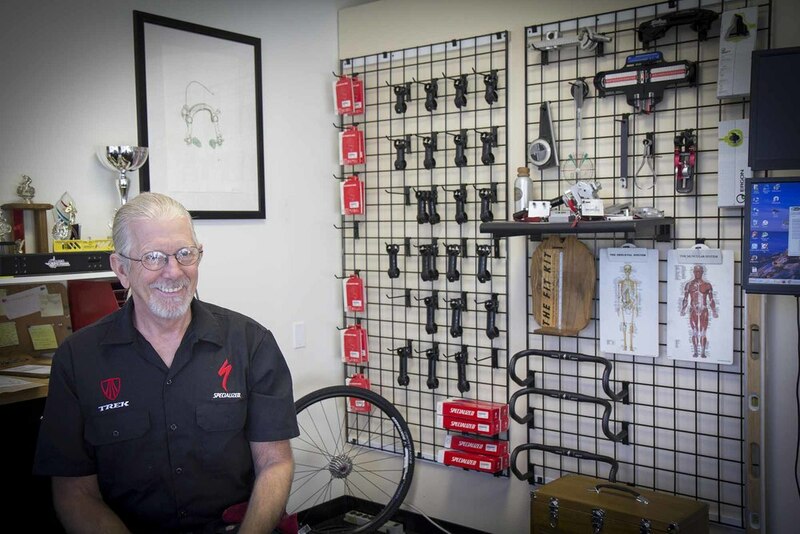 AJ has been a certified USCF coach, holds fitting certifications from Serotta, SICI, Retul, and F.I.S.T., Specialized Body Geometry and has performed thousands of professional fittings on all manner of riders from couch potatoes to pros. He mechanical background was formed from an early age. Starting with motorcycles as a kid into racing them as a teenager into working his way through college as a motorcycle mechanic. He holds two Associate Degrees one in Machine Tool Technology and the other in Automotive Technology. After school he worked as a manufacturing engineer, machinist and tool and die maker for twelve years. Finally in 1983 his love of cycling over came common sense and he opened a bicycle shop. His shop was high end pro and he sold, designed, had built, assembled and fitted bespoke custom bicycles for years. Now you can tap into this experience and knowledge by visiting Michael's Bicycles for your service or fitting needs.